Wisdom and compassion are like two wings of a bird. One without the other leads us to flying around in circles! When we see our loved ones and those around us experience suffering, compassion naturally arise in our heart as it is our intrinsic nature. However, our compassionate actions often lead to more problems than help, leaving ourselves feeling exhausted and powerless. In this festival, we will learn how to use our wisdom to develop and nurture our compassion in face of difficult emotions and challenging living situations. In this way, we will find the best way to be of real benefit in helping others. 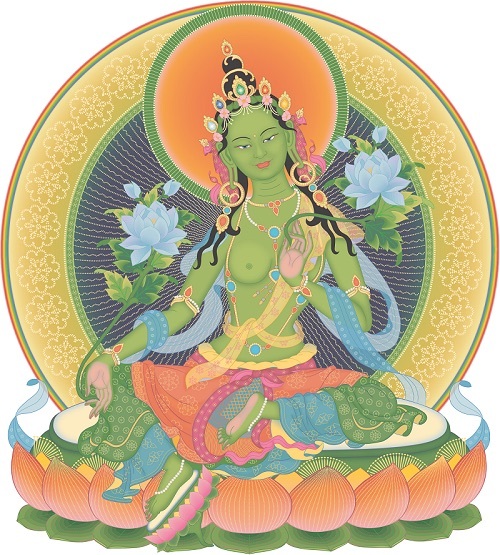 Gen-la Jampa will grant the empowerment of Green Tara, who is the embodiment of swift compassion and enlightened wisdom. Through relying upon Tara and receiving her powerful blessings, we can continually receive her protection and swiftly ripen our own potential for wisdom and compassionate action. Gen-la will also explain the practical application of the Kadampa way of practising compassion through wisdom, so we can begin living with a wise and compassionate heart.